The card swap theme for Ann's Happy Stampers team this month was chosen by myself and I think I was inspired by it being a particularly warm day, with sun shining and a nice fruit platter being on the table when asked as I chose from the top of my head the theme of Exotic. After I announced it to the team I felt a bit worried. I had no idea what I was going to do, all I could think of was sunsets, tropical beaches, exotic birds and plants, spices and opulence. But how I was going to put those into a card I had no idea. Just then, as often happens, I spotted a card made by one of my Stampin' Up! demonstrator buddies using a set I'd not noticed before called Artistically Asian and I knew then that my creation was going to involve this stamp. The Orient was where I was heading for my take on exotic. 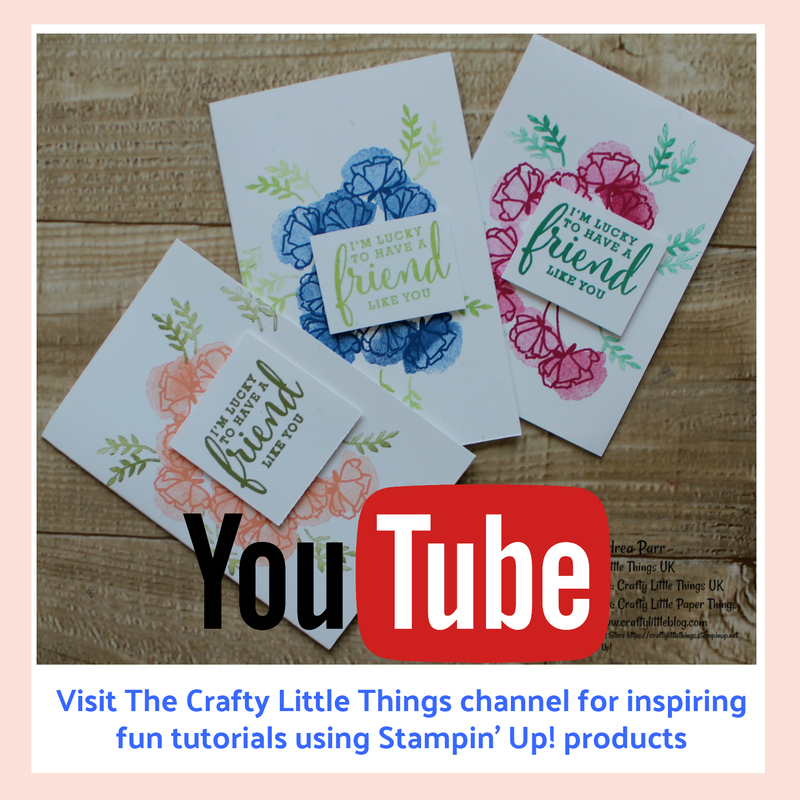 CLICK HERE for a link to Christine's blog post which inspired me not only to use the stamp but to actually purchase it as I didn't have it in my collection. Please go take a look she used the set with different colours and to create a different feel of project to mine so it's worth having a look at the inspiration and where I took it to match the theme. So I kind of went with the theme of white with a darker colour and an accent colour that Christine had used but I obviously put my own stamp on it (forgive the pun). I started off with a Real Red card base then added a layer of Whisper White which I had sponged the edges of using three inks, Real Red, Calypso Coral and Daffodil Delight to give a sunset kind of feel to the layer which eventually just peeked out from behind the white stamped top layer. On this top layer I'd stamped a couple of the images from the Artistically Asian stamp set using Early Espresso which is a really rich dark choclately brown, almost black but a little more subtle. 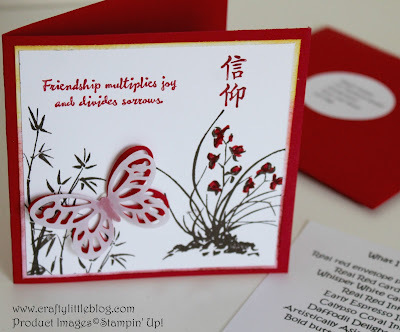 I stamped the sentiment in Real Red and finished off with a cute butterfly from the Bold Butterfly framelits set in the same colour card stock with a vellum overlay giving a nod to eastern rice paper. I just touched up the flowers of one of the stamped images using a Real Red marker and that was that. 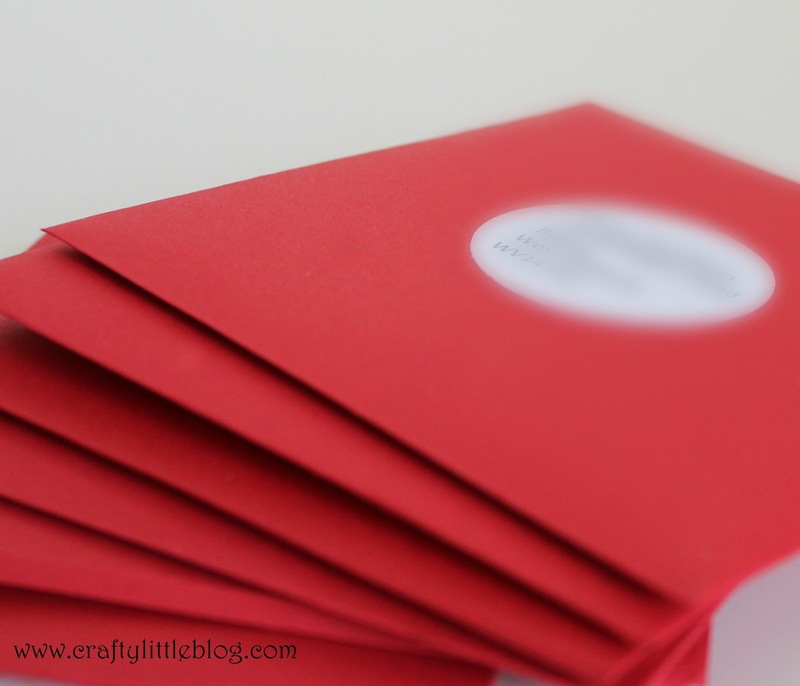 I made the envelopes using Real Red envelope paper which is now sadly retired but I had been fortunate to grab a load in a retiring or clearance sale. For a little touch of difference I typed out addresses and then punched them out using the 1 and 1/4 inch circle punch, carrying through the colour theme to the envelope. So what do you think? Did I get exotic or not? What does exotic conjure up for you in your creative card making minds? I'd love to hear or see, feel free to share thoughts and add links in the comments. Of course this is a team thing where we make cards to swap each month and I was totally blown away by the cards my fellow team members made. Talk about off the scale with exoticness! As usual their skills made my effort pale into insignificance and I will take huge inspiration from them as always. I'll post some pictures of their projects once Ann's post on this month's swaps has gone live. 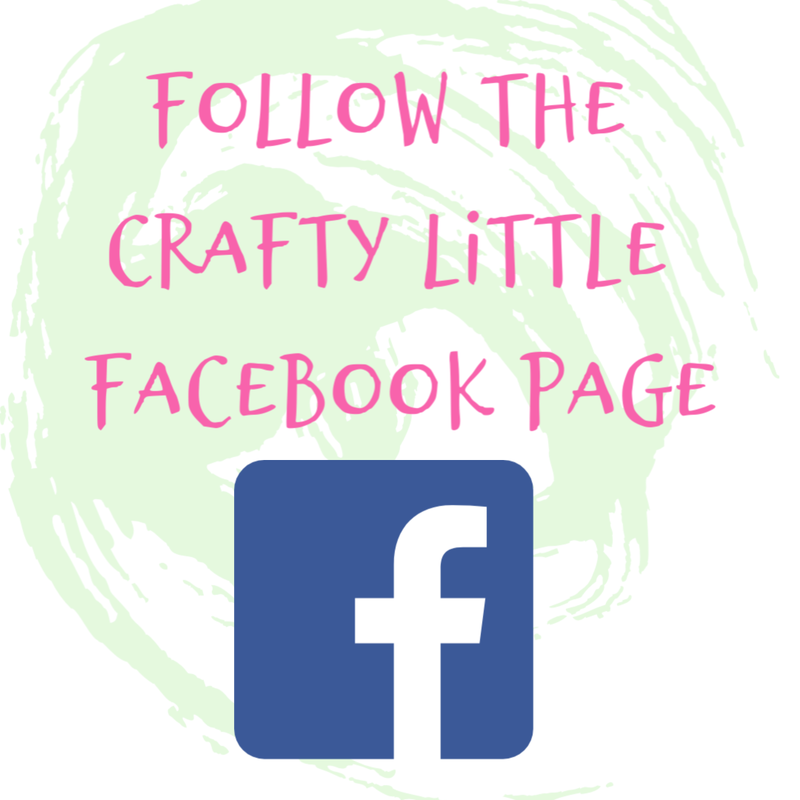 Please do subscribe to my blog and/or Ann's so you don't miss out on that, the Exotic ideas are amazing and are inspired from all corners of the globe. 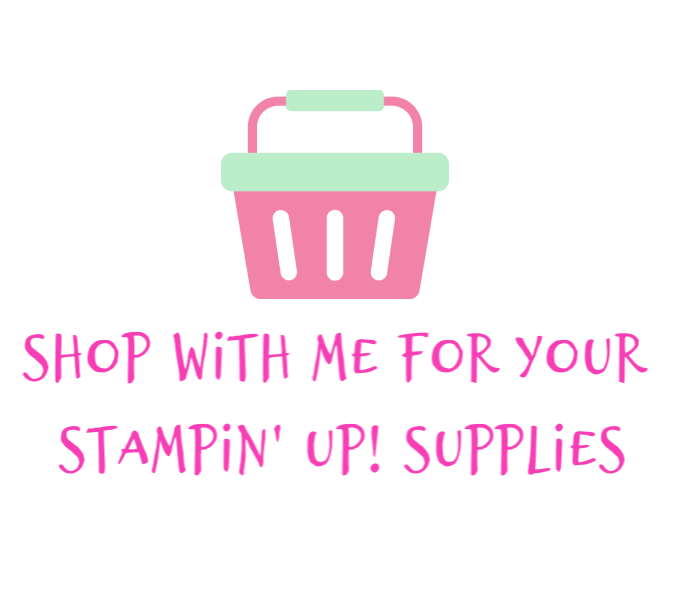 As always all of the products I used are detailed below and if you wish to buy any just click and you'll be magically transported to my online store. 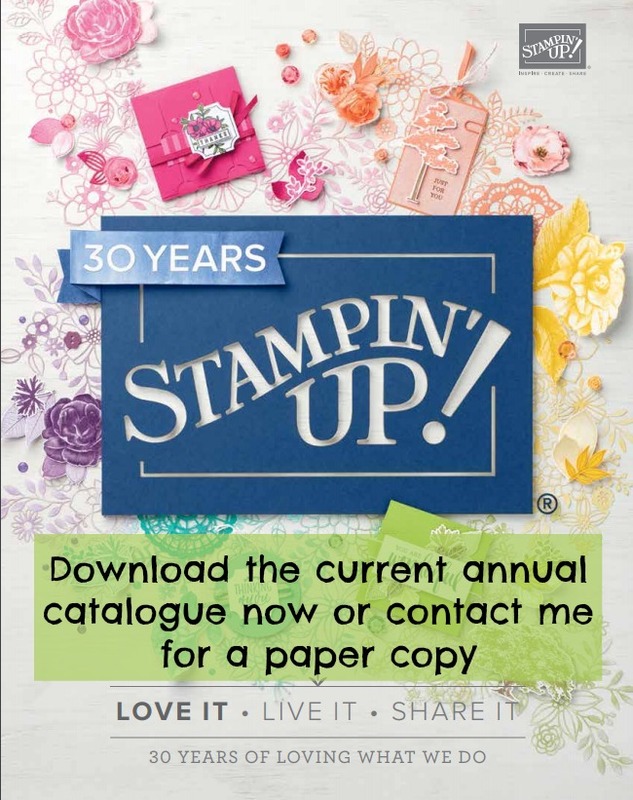 All customers receive a little surprise gift from me while they wait for their Stampin' Up! order to arrive. Thanks as always for joining me and I hope you have an amazing week.